Here are 4 free Windows 8 drawing apps to help you make wonderful drawings and have fun. You will be thrilled by the experience you get from these four different types of drawing apps. These drawing apps offer a wide range of tools such as different shapes, brush strokes, color palette, borders and more. You can draw images on a virtual canvas, provided in the app, fill colors and add effects to create magical drawings. You can also save these drawings on your system. Using these apps, you can make different types of interesting drawings like free-hand drawings, pixel images, moving or falling images. The apps we are going to review today are Draw for Fun, SketchBook Express, Super Pixel Draw, and Paint Drops. Draw for Fun app is available in Tools category of Windows Store. SketchBook Express and Paint Drops apps are available in Entertainment category, while you can find Super Pixe Draw app in Games category of Windows Store. Let’s have a detailed look at each of these drawing apps. Draw for Fun is a free Windows 8 drawing app that offers a number of inbuilt tools to let you draw whatever you like. The tools such as Line, Ellipse, Rectangle, Pencil, Eraser, Handwriting Recognition, etc., enable you to create beautiful drawing on the virtual canvas, provided in the app. 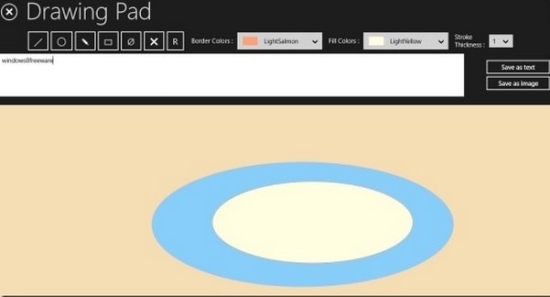 You can select border colors, fill colors in the background, and also select stroke thickness. A text window is also provided above the drawing canvas in which you can also add a text and save it as text or image. Click here to get Draw for Fun. SketchBook Express is a free Windows 8 drawing app that lets you make free-hand drawings using the various tools provided in the app. You can also add effects like colors, contrast, crop, and canvas size. The app also displays two pucks on the top of the drawing screen, for choosing colors, and changing stroke size of painting brush. There are various types of brushes to select from such as air brush, paint brush, ball point pen, pencil, marker, color filled bucket and more. Menu icon provided in the app display options to turn on symmetry, use color picker, clear canvas, change the brush size, and save your image. You can save your drawings in formats like JPEG and PNG, and also edit them later if you want. Click here to get SketchBook Express. 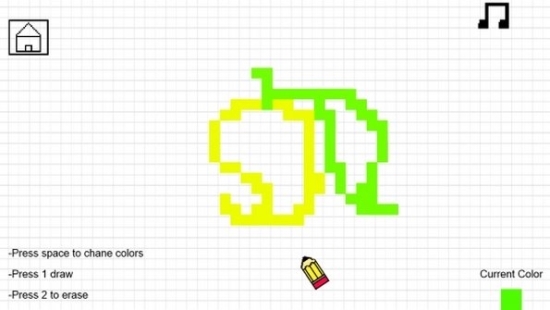 Super Pixel Draw is another free Windows 8 drawing app specialized in drawing still and moving pixel images. The app offers two different modes for drawing: Normal and Crazy. In normal mode, you can draw simple pixel images while Crazy mode lets you draw images that grow and shrink, giving a crazy effect to your canvas. A color palette is provided with nice bright colors so that you can draw colourful pixel images. A nice music also plays in the background while you draw, to make the whole experience of using this special drawing app even more exciting. Click here to get Super Pixel Draw. Paint Drops is the most exciting and unique app in the list. It is a magical drawing app and is capable of doing wonders to your simple drawings. The app looks like an ordinary free Windows 8 drawing app till you draw the image but thereafter, the real magic begins! 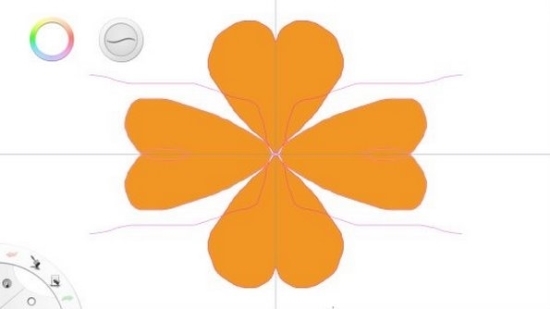 You can draw images using the various shape and line options provided in the app. After you finish making your drawing, press on Start button displayed on the app’s screen. And see the magic! 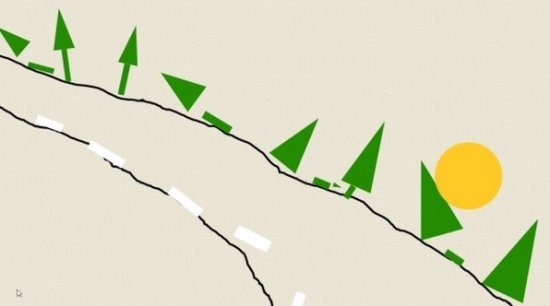 The objects you draw will start falling off the screen making fun sounds. You can stop these falling objects by clicking on Stop button. You can adjust the sound using the respective option provided in the app. The app also offers to set different backgrounds to your drawing canvas using Settings button. Click here to get Paint Drops. These were some of the drawing apps, especially hand-picked for you to make your drawing experience more enjoyable. Go ahead, make the best use of your free time with these free Windows 8 drawing apps and explore your creativity. Share your feedback via comments.